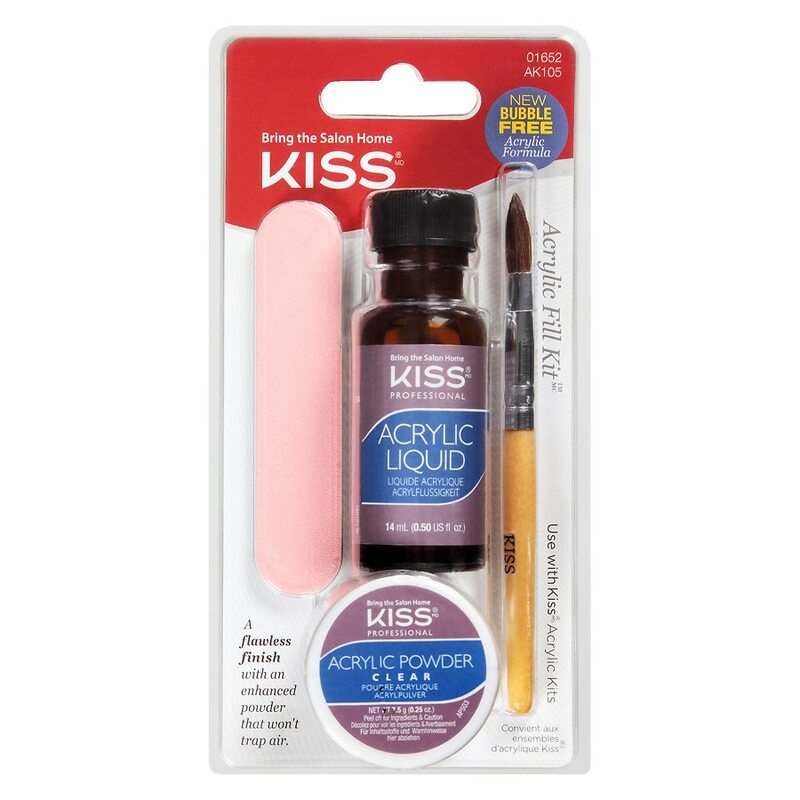 Kit contains: Acrylic powder - clear (0.25 oz), acrylic liquid (0.50 fl oz), sculpting brush, nail file. Preparation: Clean nails with acetone-based nail polish remover. Gently buff area of new nail growth with the fine side of file, blending existing acrylic overlay. Once opened use within 12 months. ©2015 Kiss Products, Inc.
Avoid inhalation, ingestion, or prolonged contact with skin. In case of contact with eyes, rinse immediately with plenty of water and seek medical advice. Read directions for use carefully. Acrylic Liquid is Flammable. Keep away from sources of ignition - No smoking. Keep out of reach of children. Discontinue use if irritation occurs. Do not use if nail or surrounding skin is damaged or inflamed. For professional use only.